A few weeks ago French newspaper “L’Equipe” proposed Kevin Mayer a scheme for 10.000 points. Can you walk us through the list Kevin? Yes he can. 10.35 seconds in the 100 meters. 46.00 seconds in the 400 meters. 4 min 15.70 sec. 1500 meters. What score do you envisage? “I think we have here about five impossible proposals. 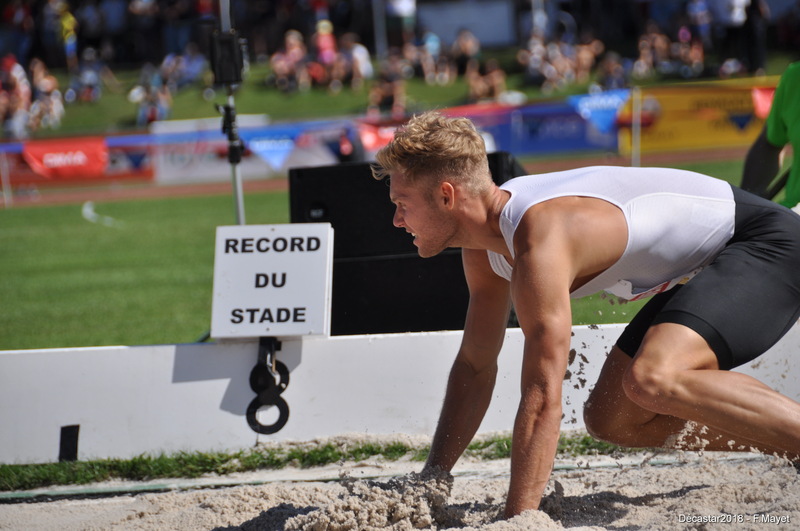 If I can do a perfect decathlon with the increasing line of progression that I have each year in mind, I think 9500 is possible one day. But!!! This is if the perfect decathlon is possible. Only counting on that presumption, because I didn’t thought before my world record to do this as perfect as I did either. For 9500 the circumstances would have to be perfect as well, what means it all looks utopic wright now. Honestly until really experiencing it, I don’t see me do it.